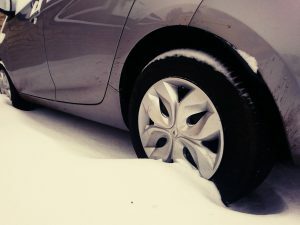 We have put together are some hints and tips to stay safe in the colder snaps as the continued cold winter weather and snow on its way, whether that’s your commute to work or an afternoon in the park. If you are concerned about someone sleeping rough on the streets, there are some local organisations that can give advice and support. Find out more here. Zero Nights is a scheme run by Fair housing for Frome to support anyone sleeping outside when the temperature is predicted to hit below zero. On these nights, Frome Town Hall opens its doors from 7pm and showers, hot food and housing advice are on offer to those in need. Cold weather can affect your health. For the majority of people, taking a few simple precautions and following guidance from the NHS will ensure that they are safe and warm during cold weather. However, some people may be more at risk of heart attacks, stroke, flu, falls or other ailments. Learn more from the NHS Website about keeping well in winter. Use a hot water bottle or electric blanket to keep warm in bed – but don’t use both at the same time. Have at least one hot meal a day – eating regularly helps keep you warm; and make sure you have hot drinks regularly. Try not to sit still for more than an hour or so indoors – get up and stretch your legs. Wrap a scarf loosely around your mouth when outdoors – add a hat and wear shoes with a good grip, too. If you have a heart or respiratory problem, stay indoors during very cold weather. 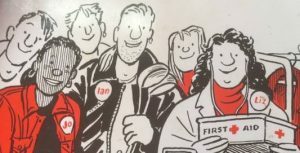 Remember, some people who are considered to be at most risk can get a flu jab free on the NHS. If you’re worried about a relative or elderly neighbour, contact NHS 111, or freephone the Age UK helpline on 0800 678 1174 (8am-7pm every day) or visit their website for advice. Are you worried about keeping your home warm this winter? Try our Winter Home Health Check. 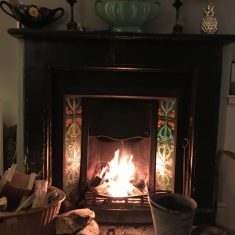 We’ve compiled ten things you can check at home to put yourself in the best position to stay warm and well this winter. Click here for the Winter Home Health Check. You may be able to claim financial and practical help with heating your home. Grants available include the Winter Fuel Payment and the Cold Weather Payment. The Energy Saving Trust has advice on how to reduce bills and make your home more energy efficient. They can also advise on grants and schemes available around the UK. Who does what to keep our town accessible? 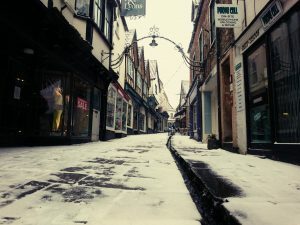 In the same way that lots of organisations work together to keep the town clean, there are lots of people involved in keeping the town as accessible and safe as possible when the winter weather sets in. So who does what? SCC is responsible for the highway winter service in Somerset. With a few exceptions, this means they grit and maintain all the highways in Somerset, including most of the road network in and around Frome. The noted exceptions are the M5, the A303 and the A36; these are maintained by the Highways Agency: Highways England. Find out more about SCC’s work over the winter months here and here. MDC is responsible for keeping most of the town clean and tidy – including clearing fallen leaves from paths. This work is currently contracted out to id verde. 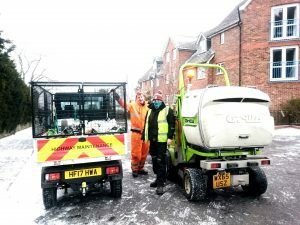 As part of the same contract, id verde also deliver a snow clearance service that includes precautionary salting and gritting of car parks, footpaths and pavements. We look after most of Frome’s parks & green spaces. In winter our priority is to make the key routes in and around these spaces as safe as possible as quickly as possible. We’ll also look to support the County Council & MDC in particularly bad weather where priorities for the town change. So while we aim to get round all of our spaces and places as quickly as possible, please bear with us. The salt and grit in the bins around the town is there to be used. So, if you need to and you’re happy to do so please go ahead. Although please remember that it’s only intended for use on public areas, highways and footpaths and if you use it on private land (like your driveway) you could be breaking the law. The material in grit bins will be sand or crushed rock salt. If you do have to use some, start sparingly and sensibly – a little goes a surprisingly long way. Carefully spread, the equivalent of a handful should treat an area of nearly 5 square metres (a bag of sugar will cover 25 square metres which is around three car parking spaces). Give it time to work. It won’t magically work immediately and may need to be walked in or driven on to start melting the snow & ice. Clearing snow and ice from the pavement outside your home or in public spaces can help prevent slips and falls. Check out The Snow Code for a list of tips and advice on how to clear snow in your neighbourhood and look after others in your community. Don’t assume that roads, footpaths and public spaces have been gritted! You can find details of schools and children’s centres which have let us know about closures or restricted opening on SLP – School Notifications – Closures and Partial Closures page. 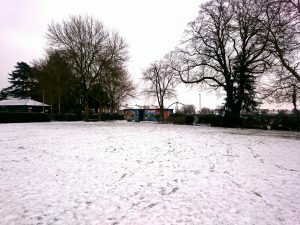 If the snow settles Somerset Waste Partnership might temporarily cease their collections of waste and recycling and other services until conditions allow them to safely continue. If this happens then please bear with them until they are able to resume normal collections and collect all missed bins, which will happen as soon as possible. Find out more about waste and recycling in winter weather here.